Our Association represents the interests of the people living in the Kensington Court area of London W.8. This and the following pages include an introduction to Kensington Court, an explanation of how the Association works, issues that affect our community, news on neighbourhood events, a list of useful contacts, the names of our local patrons and some favourite places to eat and drink. We tell the story of Kensington Court and feature profiles of people who live and work here. We have a video of some of the architectural features of the neighbourhood's buildings. And finally there are 4 short videos of Kensington Gardens, the Royal Park that's next door to Kensington Court, in its 4 seasons. 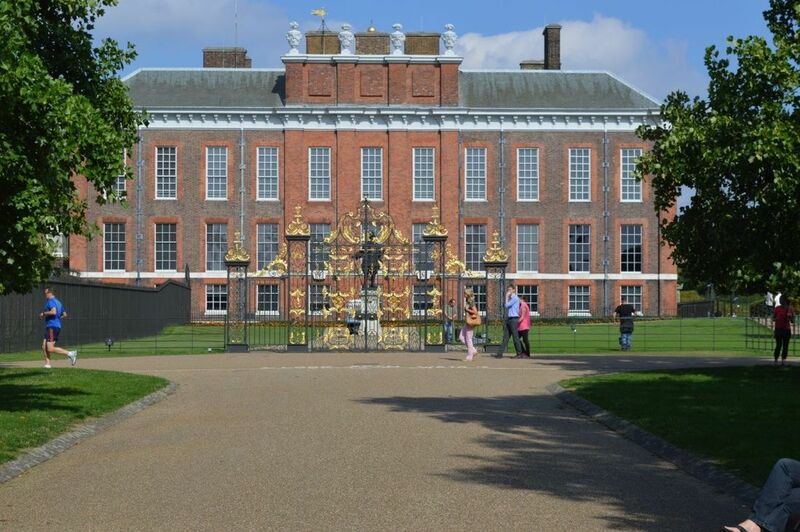 ﻿Kensington Court is just south of Kensington Palace (the London home of the Duke and Duchess of Cambridge, perhaps better known as Will & Kate), Kensington Gardens (the home of the Peter Pan statue) & Kensington High Street. It hosts 3 embassies and 2 High Commissions, 7 restaurants, 2 cafes and a pub, 2 galleries, 3 hairdressers and a number of specialist shops. It mainly consists of Victorian mansion blocks which were built towards the end of the 19th century. You can read the story of Kensington Court by clicking here. If you want to get in touch, ask advice, raise an issue or make a contribution to the website, click on the button on the left to go to the Association page. Looming over our community is the prospect of another giant construction project - the redevelopment of Heythrop College. Our quiet district of Kensington is already suffering from major construction fatigue. First, in the north-east corner of our neighbourhood, we had to endure 4 years of the de Vere Gardens development, which saw the building of 90 luxury flats, many of which are still unoccupied. You rarely see a light on there at night. That was immediately followed by the construction of 56 luxury apartments in the north west corner of the neighbourhood, replacing the car park in Young Street. This project has also taken 4 years. It is now finally finished (click here to get the latest news on that). Then just as we were beginning to see light at the end of the construction tunnel came news of yet another project, this one in the south west corner of our area. 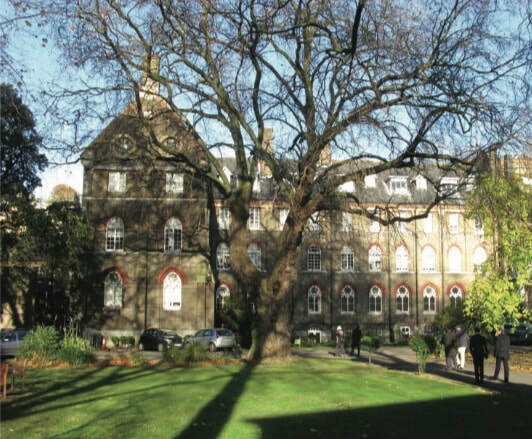 Developers had bought the site of Heythrop College, which closed in August 2018. They have proposed replacing the campus and its accommodation for 110 students with 142 luxury 1 and 2 bedroom apartments, for older people who needed some extra care – and 5 affordable homes! It will take 5 years to complete and be the biggest building project in central Kensington for years. There is no need here to go into the months of consultation and controversy that followed. 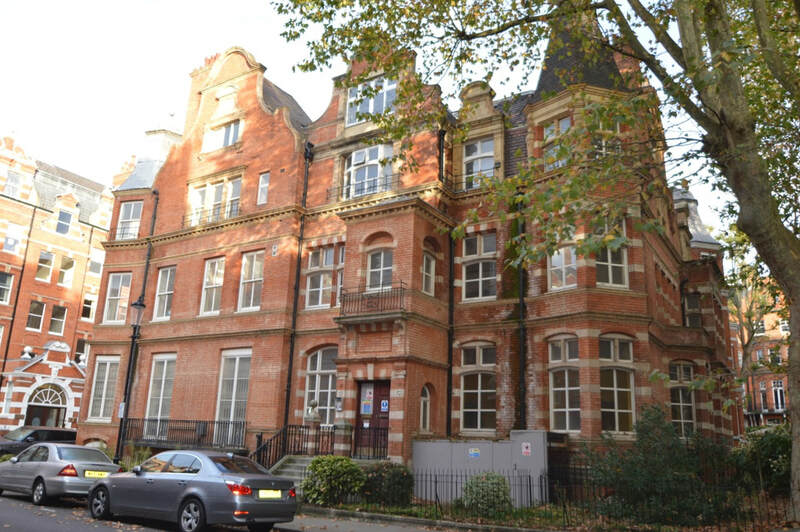 Suffice to say there were over 180 objections against the proposal, including from our Association, the Victoria Road Area RA and the Kensington Society. About 20 residents from Kensington Square rallied to support it, maybe because they will not have to endure any of the construction traffic. (Click here for the details of the proposal, its likely impact on the community and why we objected). Finally, on Tuesday evening November 27th, the application was heard by the RBKC’s Planning Committee. Despite the large number of objections, the project which had been endorsed by the planning officials, was approved by 4 of the 5 member Committee, even though it will only provide 5 affordable homes. With this decision, once again the Royal Borough demonstrated its tin ear to the post-Grenfell political climate. It has still not managed to house all the victims of that tragedy, but is happy to greenlight a £541 million project of 142 luxury one and two bedroom apartments. Their rents will range from £2,500 to £4,000 a week, which includes 2½ hours a week of extra care. The developers intend to sell some of the flats – presumably the bigger ones, for £6 to £7 million. If they actually manage to find 142 individuals of ultra high net worth (their self-declared target), they will trouser a £96 million profit. Nice work if you can get it. It seems to be in the DNA of the Royal Borough’s planners always to give a warm welcome to the rich. But if you are not an individual of ultra high net worth, things won’t be quite so easy. The decision on November 27th probably means that the £541 million project is now unstoppable. But it raises important issues on the way the planning procedures and policies of the RBKC seem to put the interests of developers before those of its residents. Post-Grenfell, the Council is currently holding a series of meetings with residents about its desire to listen more to local people. Well, it certainly has not done so with this application, and members of our Association will be keen to point out in our website and in future meetings the yawning gap between what the RBKC says and, in the context of planning, what it does.